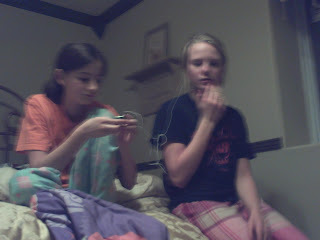 "Bleed Me A Melody": Sleepover!!! 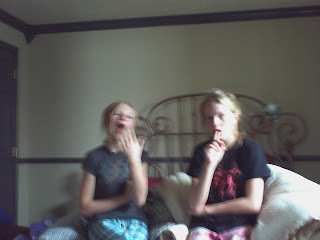 This is at a sleepover me and Kenna had! The girls we are with are twins named Shannah and Mariah! We were up til about 3:00 am! We had so so much fun!!! Oh! 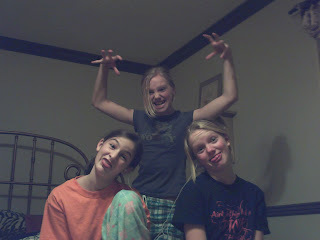 We wish we lived closer so we could have more sleepovers! Oh wait...maybe not...3 am?! Oh ya! That was so fun! I love you and I don't know what I could do without you! 3 am! I'm tired just thinking about staying up that late! That sounds like fun! I wish my parent's let me have a sleepover until 3:00!